We pride ourselves in our professional but friendly approach to Music Recording Studios Dubai. All BKP Media Group’s sound engineers are experts in their various fields and we guarantee a professional and friendly service during the recording and completion of your sound design services. Most of our Music Recording Studios Dubai can comfortably accommodate up to 8 clients, plus a sound engineer, in relaxed surroundings with refreshments, drinks and food on demand. 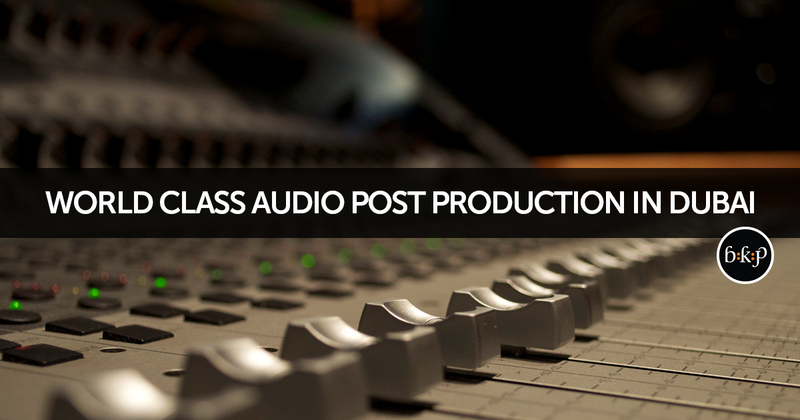 It is a great conducive space for the creative process of creating a perfect audio post production. BKP Media Group has a total of 6 professional Music Recording Studios Dubai for all your audio production needs ensuring there is always availability for us to facilitate any kind of audio needs at a moments notice.